"Excellent course, excellent tutor, highly recommended!" To provide a practical insight into the skill of report writing including an interactive practical session to ensure learning retention. One day intensive course 10:30 to 16:30 with lunch over 45 minutes provided in-house. The course is in a classroom format and is tutor led. 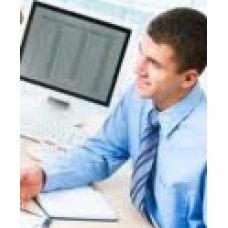 The tutor is a qualified English tutor with considerable experience in business generally. This has enabled us to develop a course which is highly relevant to the demands of any modern professional setting. The course combines instruction with a highly interactive practical session. 10:30 to 16:30 with lunch over 45 minutes at Souters’ or at your location for companies with volume bookings. Good command of written English. Delegates will gain a Certificate on successful completion. A greater sense of confidence and practical capabilities in relation to report writing.